Be the ultimate gift giver with this delicious personalised M&Ms Large Cube. Stocks aplenty so shop now. 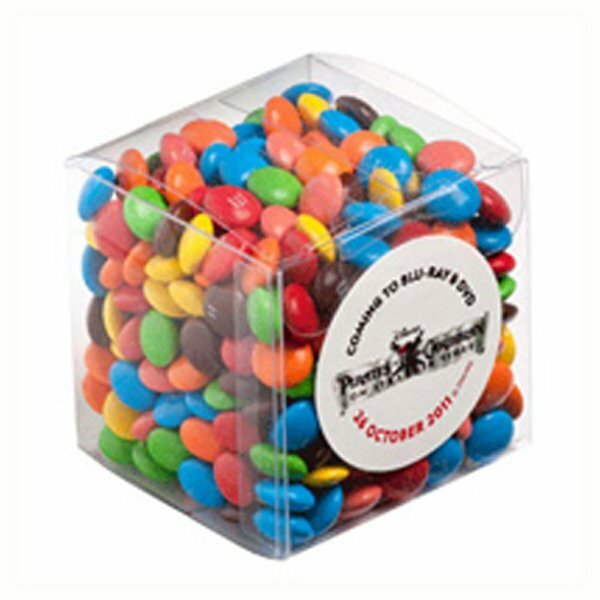 Surprise your colleagues and staff with the promotional M&Ms Large Cube on your next promotional event and you’ll certainly make a good impression. The M&Ms Large Cube is a great and cost-effective product that you can customise to carry your branding and advertise your company during trade fairs or any other corporate events. Inside each cube are a whopping 100 grams of chocolate goodies. But they’re no ordinary chocolates, they’re M&Ms. We all know how popular M&Ms are, so associating your company with these famous confectioneries will surely make a huge impact for your branding. Simply send us your custom design and we’ll print it on a 38mm diameter sticker which will be attached to the cube. Feel free to be creative with your design as the sticker can be printed in full colour too. The cubes are 50mm in width and 50mm in height. They’re clear and transparent and would look good when stacked on top and beside each other when you display them at trade shows. For Christmas, you can design the M&Ms Large Cubes with bells and reindeer’s along with your company logo. Give them away to your staff and business partners and you’ll make their holidays a lot merrier. 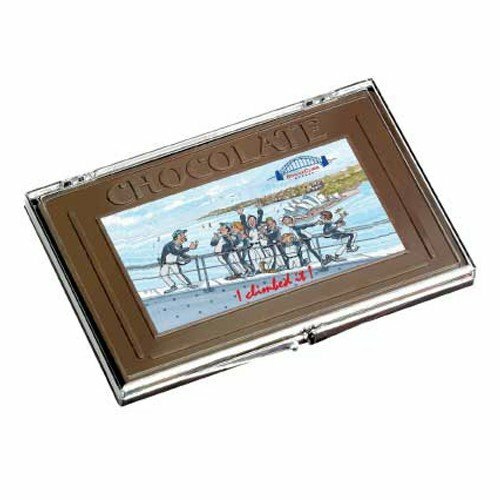 Other customisable chocolate gift ideas you can look into would be our range of branded Personalised Rock Candies. Check out the branded Rock Candy White Noodle Box and the custom Rock Candy Glass Jar for some cool examples. All our products are made with the highest quality while ensuring that they meet every type of budget. Build up your brand with our custom M&Ms Large Cube. This eye-catching giveaway is excellent for winning over your clients! Want more colourful giveaways? Check out the Rainbow Tie Dye Trucker Cap and our other unique and customizable hats and caps! Give us a call in case you need some assistance. You can reach us via our hotline number, 1300 008 300. Or if you prefer to contact us through live chat, just hop on that chat box on this window and shoot us a message. Our customer contact support team is on standby ready to help you out.